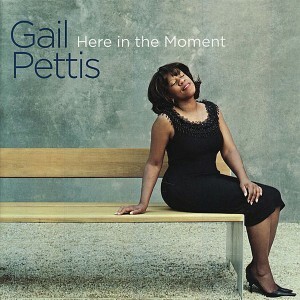 Gail Pettis only started performing professionally as a jazz vocalist a few years before she made her first CD, as she had a full-time career as an orthodontist. Yet because Pettis had been singing since childhood in addition to playing French horn as a youth, she was no newcomer to performing. Gifted with an expressive alto voice, her embellishments to the familiar songs she performs show the skill of someone who is likely a natural, as she never overplays her hand. With a superb trio that alternates between two different pianists, two bassists, and drummer Mark Ivester as the one constant, Pettis catches one’s attention right away with her adroit interpretation of “In the Still of the Night.” The unusual 5/4 arrangement of Anthony Newley’s “Who Can I Turn To?” (a favorite of the late pianist Bill Evans) provides a rich backdrop for her expressive vocal. “Nature Boy” is almost a cliché in the hands of a typical singer, but Pettis makes the most of the hip Afro-Cuban arrangement without sounding too serious.